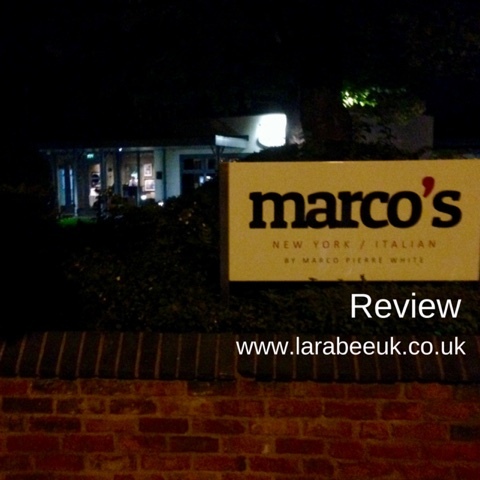 When we were in Liverpool recently, we were fortunate enough to dine at Marco's USA in Hoylake which was attached to the Holiday Inn Express hotel we stayed in. It's not somewhere we really would have considered with T, but they made us feel extremely welcome, one thing we noticed is that we weren't pushed into a small corner but we're give a central table in the middle of the restaurant, we've found in some places we've been to that they tend to shut you away or push you into a corner when you have children, assuming that all children misbehave when out! 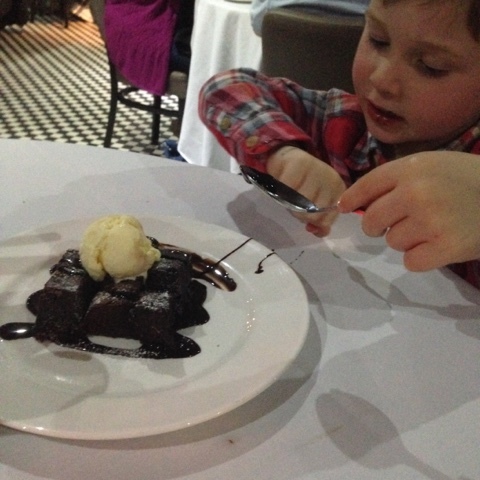 T was in a fabulous mood and behaved brilliantly, our waiter, Tom, was exceptional, talking to T and giving him colouring sheets and making him laugh, we really appreciated this, it was lovely to go out to what felt like an adult restaurant but being able to take T. Where we live most child friendly establishments are not the type of places that we would go to as a couple. Despite there being 2 large parties that night, service was great and our waiter was very attentive. The menu's are very varied, with lots of vegetarian options, however, I opted for a couple of sides to make up a salad which they were more than happy to provide. 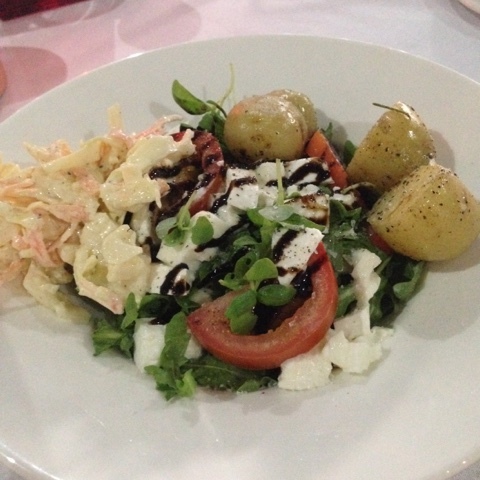 I had buttered new potatoes, tomato and mozzarella salad and some homemade coleslaw, which was absolutely delicious. 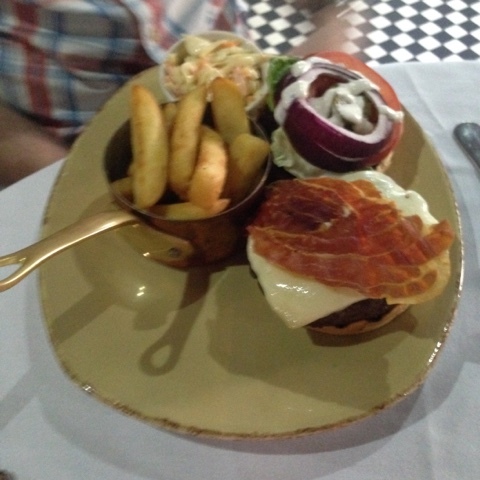 The hubs ordered a burger with prosciutto and cheese, which came beautifully presented with lovely thick cut chips. 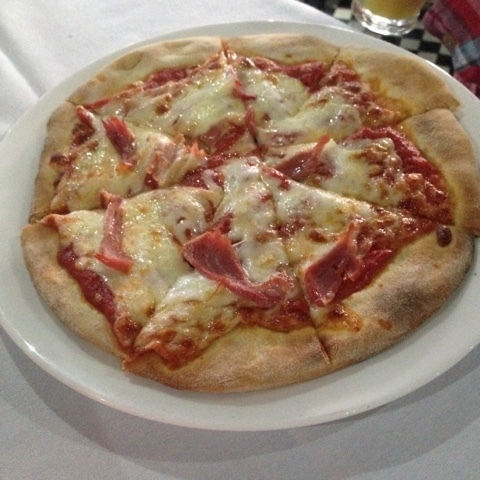 T was quite tired by the time we came to eat and so couldn't make up his mind what to order, in the end he ordered a ham pizza and the waiter brought him out a few chips as that was what he asked for! 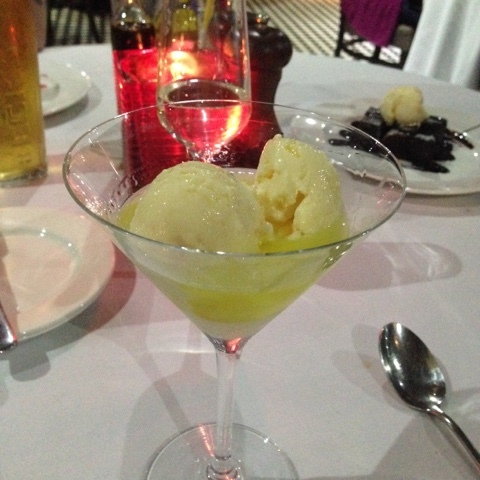 For desert I had ice cream with limoncello which was divine, LOTS of limoncello which was very much appreciated! 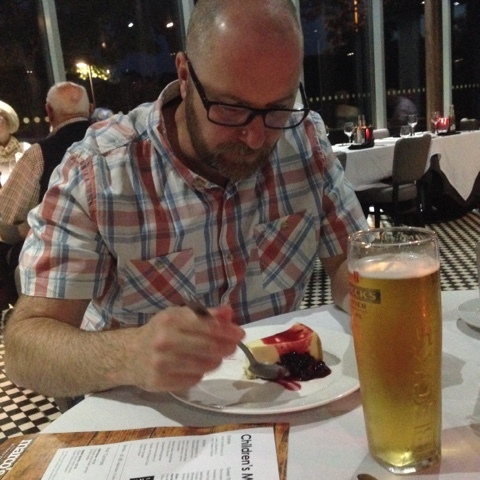 The Hubs had a New York cheese cake which was delicious. By the end of the night T was getting tired so we left after desserts, however, had it just have been The Hubs and I we would most certainly have stayed for a couple more drinks and enjoyed the warm and friendly atmosphere. The cost of our meal and drinks was very reasonable, we would definitely consider dining at a Marcos if we ever come across one again. 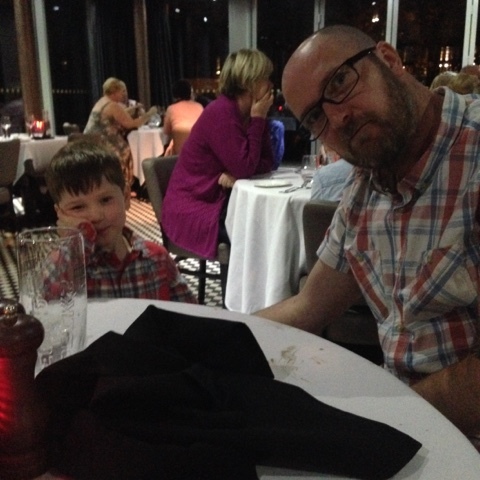 We found no cons to Marcos at all and would highly recommend as a fantastic family restaurant. Disclaimer: we were given free accomodation to the Holiday Inn Express and were asked to dine at Marcos and paid for our food ourselves.